These earrings once belonged to my mother. 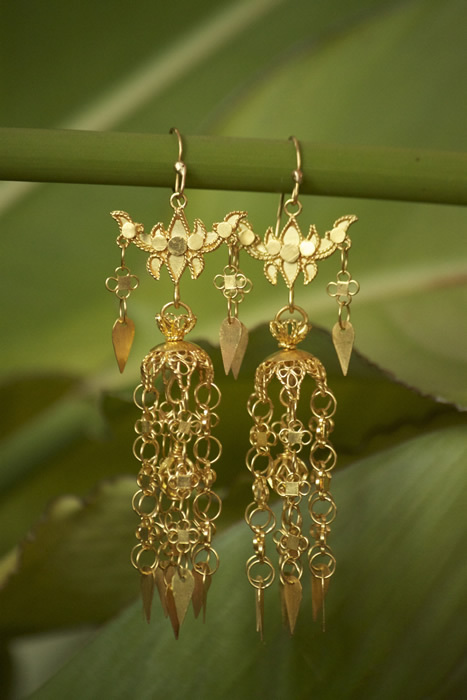 As they fell apart, they became the core inspiration for my idea of working on traditional Lao jewelry. I excitedly remade them, naming them, Lao Dangling earrings.